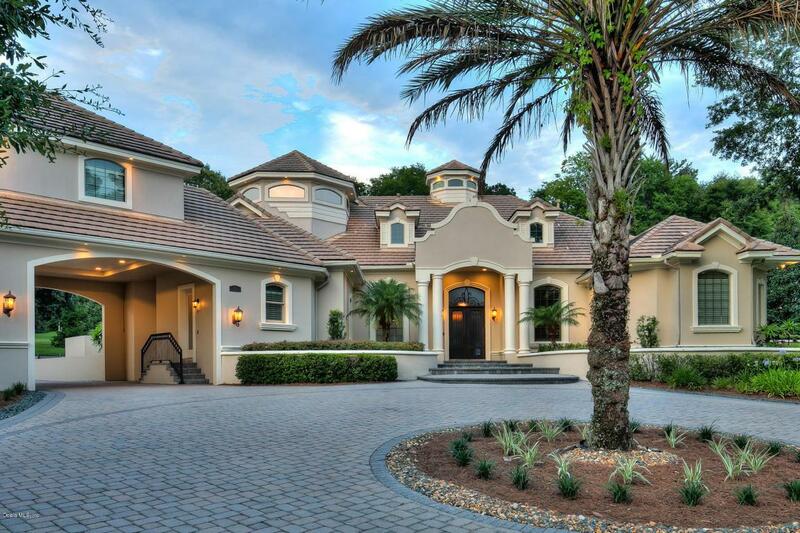 Located in the rolling hills of NW Ocala's horse country, Golden Ocala is the area's one of a kind golf and equestrian club, and this home is everything you would expect to find in such a first class community. Style, sophistication, and attention to detail are evident at every turn in this spectacular custom built home. Special design elements include a uniquely designed two way fireplace, beautiful chef's kitchen, and tray ceilings; the master suite is fit for a king and has a its own captivating gas fire feature, huge walk in closet, and exercise room. This magnificent home has just recently been upgraded to include gorgeous wood flooring, beautifully installed with custom designs in foyer, office, and hall area; the master bath now features imported marble flooring. 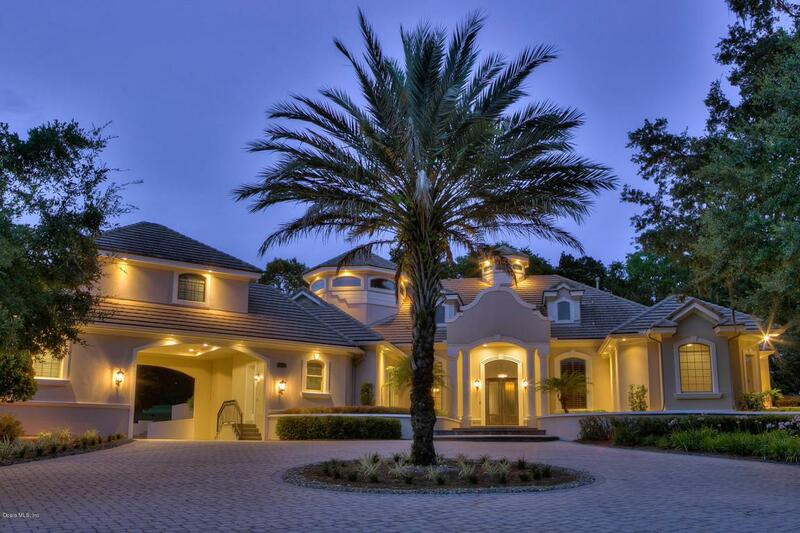 Thisgorgeous Florida lifestyle can be enjoyed year round in the huge screened enclosure with heated pool, summer kitchen, and tons of deck and patio space, perfect for entertaining any size crowd. Golfing on world class courses is literally steps from your door; you'll also enjoy Golden Ocala's spectacular pool, tennis, spa, and tasty restaurants. 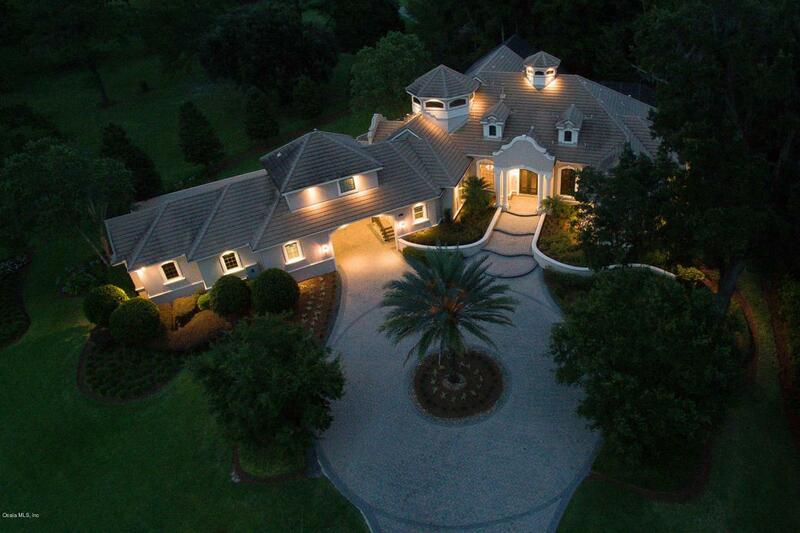 Listing provided courtesy of Matthew Varney of Hudson Phillips Ocala Properties, Llc.